In this episode I’m joined by Shelcy Joseph. I found Shelcy through an article about her and her sister and how they’ve been building a lifestyle and fashion brand while living in NYC. Fashion does not seem like an easy business to get into, so it was interesting to hear about how she got into it and is building it up. She’s also an intense hustler. At one point she was juggling 6 gigs at once in order to fund her pursuit of this work, and I think she’s a perfect example of how you don’t have to make the money work right away. You can pick up side gigs and other work to make the finances work until your own thing takes off, without having to give up the passion project just to get a paycheck. And a ton more. Please enjoy, and reach out to Shelcy on Twitter! If you’d like to hear more about having a diverse skillset and networking consistently, you should listen to my episode with Chris Chaney. If you enjoyed the bit about working more now to aid you in the future, you may like my episode with Justin Mares. Lastly, if you want to become a better learner and enjoyed our discussion on education, check out my episodes with Connor Grooms and with Scott Britton. 1:17 – Intro to Shelcy, her story on managing six jobs at one point during her life and what those jobs were. 3:45 – How Shelcy acquired some of her more difficult jobs and her discussing the path she took after college. 6:00 – Shelcy’s experience with her parents after she decided to pursue a nontraditional job that wasn’t in the neuroscience field where she received a degree. 7:23 – How Shelcy found the confidence to pursue a nontraditional job and to become a writer. 11:00 – Whether or not Shelcy plans to get into more neuroscience work in the future and how her knowledge in neuroscience has helped her in her jobs. 12:34 – Where Shelcy currently gets recent neuroscience and psychology information from. 13:30 – How Shelcy learned to apply her neurophysiology knowledge to work that’s based around lifestyle instead of work in the medical field. 16:55 – When and how Shelcy started her fashion and lifestyle company, NYCxClothes, and some background on the company. 20:22 – Some of the business partnership opportunities Shelcy gets from her fashion company. 22:36 – How some of the first brand deals happened for Shelcy and what has caused the most growth for her company. 25:35 – Shelcy’s goals for the company over the next couple of years and her discussing starting a clothing line in the near future. 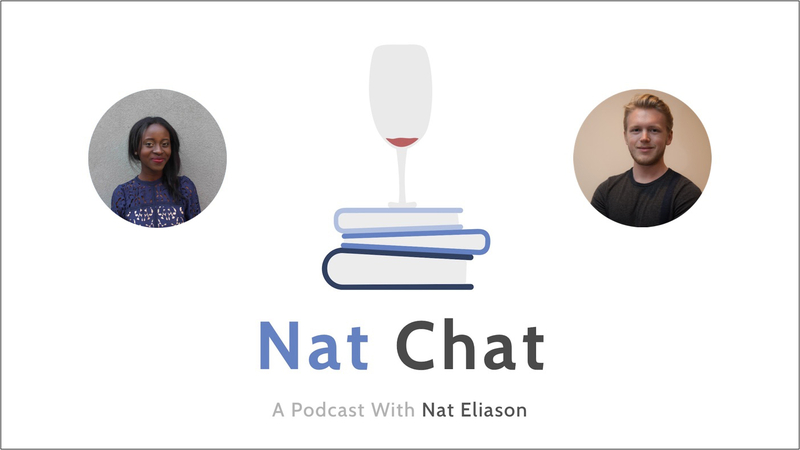 30:00 – Shelcy speaking on the photography aspect of her business and her and Nat on learning photography. 33:14 – How Shelcy finds the balance between work and doing passionate things. 36:23 – Shelcy discussing the financial stability with some of her jobs, her experiences with financial stability, and the importance of taking time away from work to educate yourself more. 41:51 – Some of the people Shelcy follows for inspiration, knowledge, and for positive impact. 44:46 – Some other things outside of the business field that has had a large impact on Shelcy. Also, Nat and Shelcy speaking on the usefulness and timeless nature of books. 50:19 – Some pieces of advice, last thoughts, and some things Shelcy wished that she’d known sooner. 55:05 – Wrap up and where to find Shelcy online.